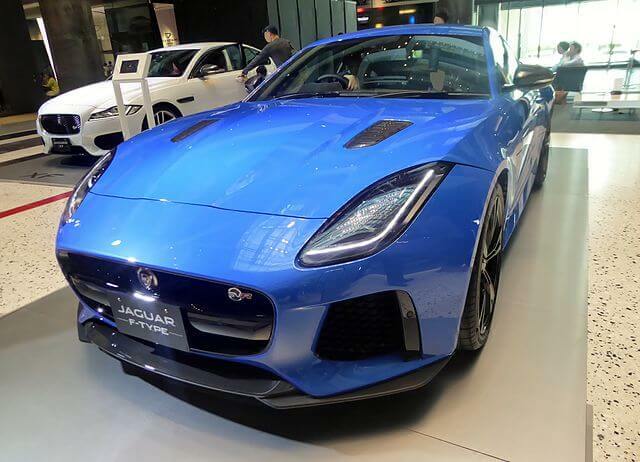 Jaguar F-Type SVR Coupe is among the most expensive F-Type coupe that you can buy in the market. The car is specifically made for the enthusiast and if you are looking for a rev monster, this is exactly it. The car is a 575 hp beast and is surely not for the light-hearted. Although, let’s find out whether its all buzz and no sound or not. The 2018 Jaguar f type SVR can achieve a speed of 0 to 60 mph in a whopping 3.2 seconds. It is all possible because of the 5.0 Litre V8 engine that gives it a power of 575 hp. It can go up to a speed of 200 mph while the convertible can only go up to 195 mph. Although, the sound of cracking and popping from the exhaust is the best thing about the car. Although, if talking about the infotainment system, it is a bit of a disappointment. Why? Because it has got not Apple Carplay or Android Auto. Although, the navigation system of the car is A-grade with great satellite navigation and graphics. The Bluetooth in the car connects very easily and supports auto streaming. The branding on front grille gives the car its identity. The outer body of the car is made of Carbon fiber. You are also getting the option for three different types of the sunroof. The rear lights on the car make it look wide. Overall, it can surely be said that one should not feel skeptical regarding the looks because they are just great. All the basic safety features that a car like this should have comes as standard. Although, The car still isn’t tested for IIHS and NHTSA. It has got airbags for front, rear, and sides. Also, the two most important safety aspects Automated Emergency Braking and Forward Collision Warning come as standard. Also, the car is loaded with multiple optional safety features for you to suit. The Jaguar F Type Svr base variant of the car comes at a price of $122,750. The car is not made for a regular person and if talking of the price it is being offered only an enthusiast might shell it down this much. Although, it doesn’t disappoint if you have the money for it. We believe that the car is worth every penny and it truly deserves the price it asks for.